Originally from Israel, Inbal Tur-Shalom moved to Amsterdam after falling head over heels in love with a Dutchman during a road trip through New Zealand. She now owns a photography studio, leads tours around the city and enjoys live music in the Jordaan. After working as a customer care manager for a big IT company in Israel, I felt life had more to offer. So, at the age of 36, I resigned, packed a backpack and went travelling through Cuba, the Dominican Republic, South America and the United States. After a year, I came back to Israel but felt that I hadn’t had enough of travelling so I decided to go to New Zealand. I rented a car there and drove all the way from the top of the north island to the bottom of the south island. After two months, I met a Dutch guy who had been living in NZ for two years. It was crazy love at first sight, he asked me to stay with him and I did. About a year later, life, circumstances and the recession made us decide to leave NZ and go back to ‘The Centre of the Universe’ (also known as Amsterdam). Since I’ve lived in a few places around the world, I guess I’m an international. But I have no plans to leave and I’m making the effort to integrate into Dutch society, so that might indicate that I’m an immigrant. After almost seven years here, I am still completely in love with Amsterdam. If I could, I would hug it! At the moment, I have no wish to move to another country, or another city for that matter. I began learning Dutch on my own as soon as I moved here. Later, I went to Dutch classes at the ROC and once more at the VU. So, yes, I do speak Dutch but, as my Dutch is getting better, my English is getting worse. Nevertheless, I still feel more comfortable in English and, of course, in Hebrew. Because I have no expiry date on my stay here, I find it important to learn the language. I can get by with English, especially in Amsterdam, but sitting in the pub when the Amsterdammers are joking with each other and I can’t join in? Naaaaah! I like all Dutch food but the food that I sometimes crave is Indonesian, which is sort of traditional Dutch food. I think I have a Dutch soul and that’s why I feel comfortable here. For example, in general, Israelis are spontaneous in nature and don’t tend to make appointments more than a few weeks ahead. But I did back when I was living in Israel. Some of my friends didn’t mind that but others didn’t get the point and would make negative remarks about it. I’ll begin with the 17th century Jewish Dutch philosopher Baruch Spinoza because he was innovative with his thoughts and ideas. He went against the flow and he paid a heavy price for it. He had an interesting life and faced many challenges. For me, André Hazes symbolises a very specific segment of Dutch society, particularly of Amsterdam and a certain era (the late 1970s and 1980s) when many changes in Dutch society occurred that fascinate me. He was a Dutch folk singer and had a real ‘Cinderella Story’. Ahmed Aboutaleb, a Moroccan Muslim immigrant who became one of the most appreciated mayors in the Netherlands. He is an advocate of nonviolence, tolerance, acceptance of the different and so on. That’s what the Netherlands is all about. Take extra care when crossing roads and beware of the bikes! On a sunny afternoon, rent a boat. Bring a bottle of wine with you along with Dutch cheese, Dutch mustard and some fruit and enjoy the city from a different angle. Oh, and take at least one guided tour, preferably with me. I’m surprised by how traditional Dutch people actually are, and how Dutch directness is so different from Israeli directness. The Dutch put so many words in a simple, short sentence in order to make it milder. I would ride on all the tram lines in Amsterdam, one after the other, and step off at most of the stops to take street photos. Hopefully, it would be a sunny day so I would also take a boat and follow my own tips for tourists. It would be great if it was a weekend so I could enjoy some live Dutch folk music at the cafés in the Jordaan. I’d have a gathering with all my friends to say ‘thank you’ and ‘goodbye’. 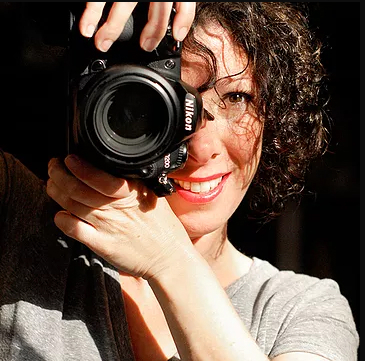 You can learn more about Inbal’s photography studio by clicking here.